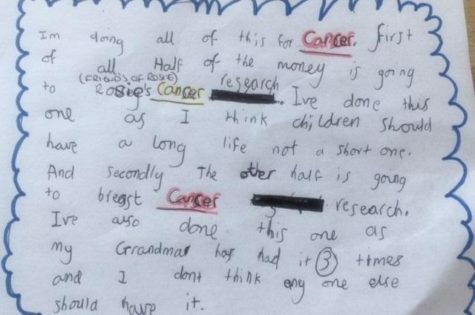 Max Edwards, aged 9, from Prestwich was inspired to fundraise for childhood cancer and breast cancer research after his grandmother’s battle with the disease. 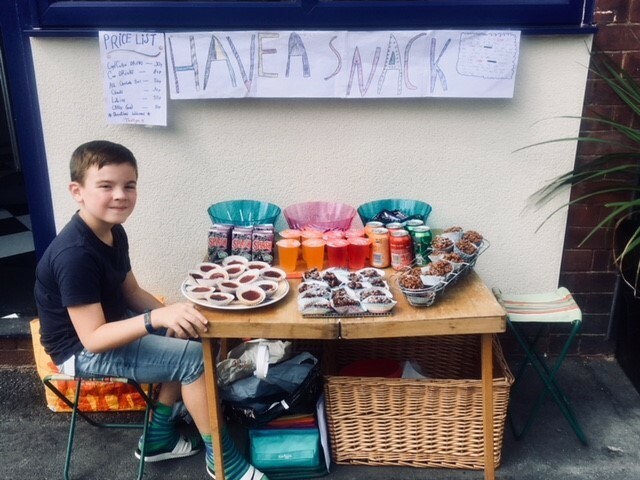 The St Phillips Primary School pupil decided to create his own ‘Have a Snack’ shop, selling homemade cakes as well as drinks and treats. He set up a stall outside his father’s fish and chip shop Chips at No.8. Max was also helped out at his cafe by twin brother Charlie, who lent a hand with the maths and finances for the venture. The pair raised over £200 for Friends of Rosie children’s cancer research fund and Breast Cancer Research. Max’s mum Olivia Edwards said: “Max is quite a caring soul and a sweet boy. He has been saying for ages that he wanted to fundraise with a lemonade stall because he always sees them in American TV programmes. “Then recently he said he wanted to do a tuck shop selling sweets. “I told him that if he wanted to do it “it’s a great idea, but you have to plan it”. “I thought he would get bored but he thought it all out on his own and it all evolved from there. “He baked the cakes himself, including rocky road and rice crispy buns. We also bought drinks and snacks. Max decorated his Have a Snack shop with homemade banners and price list, including a handwritten note for his customers. The note explained that he had created the shop to fundraise for childhood cancer because he feels that “children should have a long life and not a short one”. The note also explained that his grandmother has had breast cancer three times and Max does not “think anyone else should have it”. Ms Edwards said: “I’m just so proud of Max and his thought process and what he wanted to do. Max added: “I thought I was only going to fundraise £40 but I ended up with £200, which I’m so pleased with. Our heartfelt thanks go to Max and Charlie for choosing to support Friends of Rosie and help to fund childhood cancer research.